When this long legacy of academics California bay area University needed a solution to transform unused outdoor courtyard area, the MoveStrong FitGround was selected. Along with more amenities like table tennis and outdoor break areas for students to enjoy the California weather and take part in fitness and obstacle course style of exercising for a fun and effective way to stay fit on campus. MoveStrong worked closely with University Operations to determine the best layout for the school based on the available area. SCU wanted a combination of bodyweight and functional fitness equipment along with some obstacle course style stations to challenge students. The MoveStrong double T-Rex FTS with monkey bar bridge, Cargo Net with rope climb stations, Stall Bars, Plyo steps, and zig-zag balance beam were chosen to fit the outdoor space. A custom burgundy color scheme for the equipment was selected to match school colors. Surfacing selected was charcoal rubber mulch to provide a safe ground for exercising and help to prevent injury from falls. 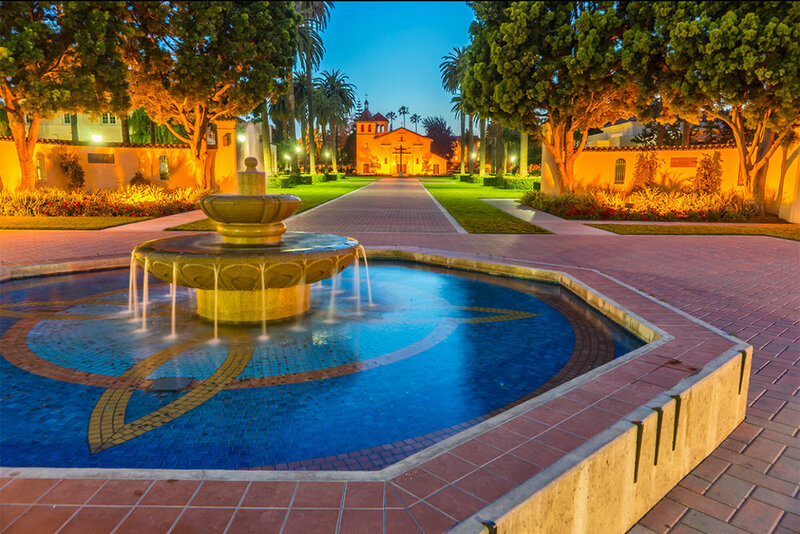 "Located in the heart of Silicon Valley, Santa Clara University blends high-tech innovation with a social consciousness grounded in the Jesuit educational tradition.